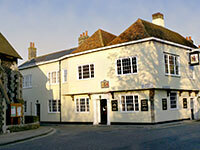 Here is a brief list of some hotel accommodation in and around Sandwich. 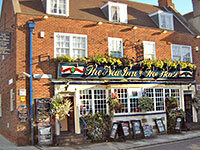 16th century Traditional English Inn with a 'home from home' atmosphere, situated in Strand Street Sandwich. 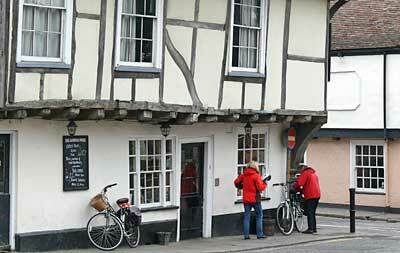 Town Centre Inn with friendly and comfortable bar area. Home cooked food is available all day. 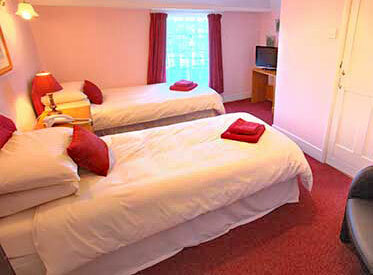 En-suite Single and Double Rooms with TV, direct dial phones, wifi. 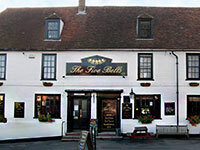 The Five Bells Eastry is a traditional English pub set in the heart of the picturesque village of Eastry near Sandwich. 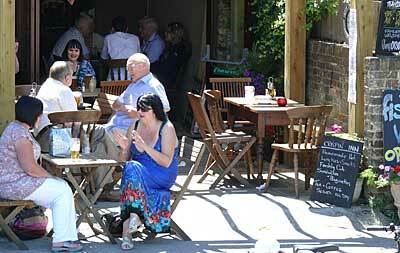 The pub, which has been running since 1675, has recently been re-vamped, keeping the charm and tradition but making it a great venue for whatever function you would like to hold. 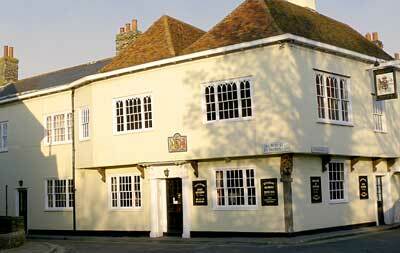 Here is a brief list of some bed and breakfast accommodation in and around Sandwich. 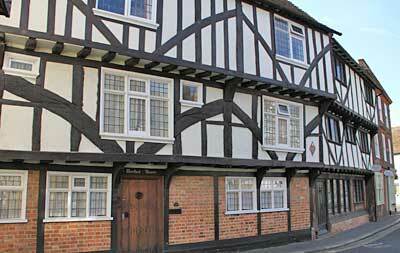 Here is a brief list of some self catering accommodation in and around Sandwich - including, apartments, houses, self catering cottages, caravans and camping. 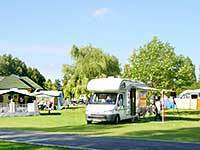 This award winning park backs onto open farmland yet is only three minutes on foot from the centre of town.180 pitches, most with electric hook-ups. Hard standing pitches available c/w water. 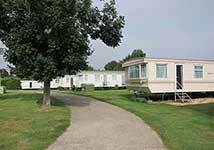 Caravan holiday homes are also available for sale and hire. TV, electric and drainage. Situated in the centre of Sandwich these refurbished Georgian cottages were built in 1805, replacing original 1287 buildings. Each cottage is ideal for two, but at most can hold up to four people. 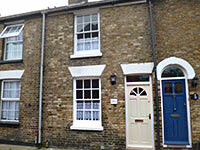 A charming self catering property in the heart of the conservation area of Sandwich. Completely refurbished but retaining original features, this comfortable cottage has a small courtyard garden and a drying room ideal for golfers. 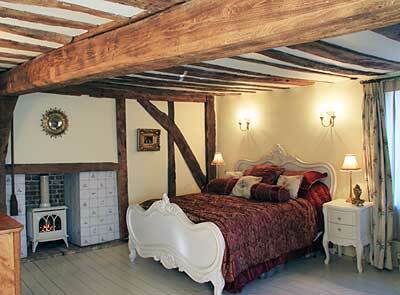 Buttermilk cottage makes an ideal base for exploring medieval Sandwich and nearby towns. 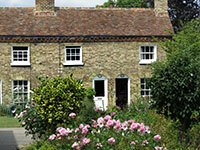 The Field centre offers reasonably priced accommodation for wild life enthusiasts and people visiting the local area. 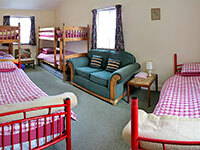 Self contained flat, Twin rooms and an 8 bed room for groups and families. 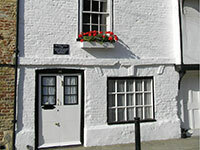 Beamed Grade II listed cottage circa 1677. 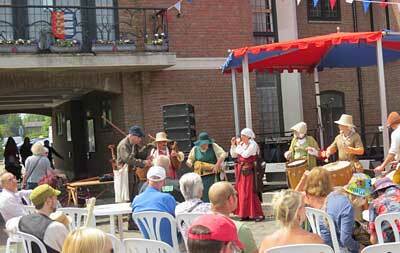 Located in the centre of the historic medieval town of Sandwich. In 1759, this house in Sandwich Kent, UK, was the home and shop of Thomas Paine, founding father of the United States and French Republic. 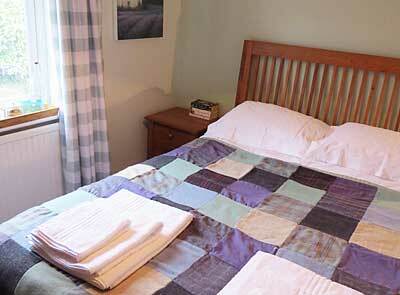 During 2006 /7 the cottage has been sympathetically renovated and now provides very comfortable accommodation. Sleeps 4. Bed linen/towels provided. Here is some hotel accommodation in nearby towns and also across the sea. Set in some ten level acres of secluded, well maintained grounds, our picturesque caravan and camping park is ideally located near Margate, Broadstairs and Ramsgate East Kent. Caravans for Hire and for Sale. The park is situated in a very quiet position and suited for those who appreciate the peace and quiet of the surroundings. 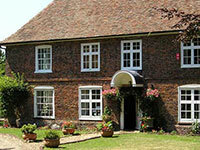 Three self catering apartments which are set in the tranquil surroundings of 14th Century Salmestone Grange. 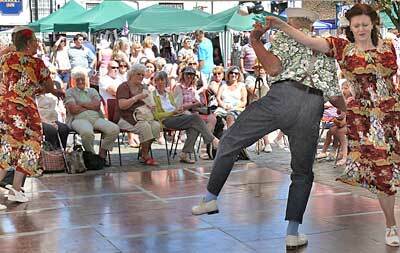 See their website for more details and availability. Please note that Open Sandwich bears no responsibility for the availability, content and services of 3rd party & external websites & web pages. Photos on this page by owners of properties concerned or Open Sandwich unless otherwise stated.